Do you teach in international higher education? Looking for an internationally recognised higher education teaching qualification? Then the Post Graduate Certificate in Teaching & learning in Higher education is possibly interesting for you! Taught over one academic year, in 5 block sessions - 4 days in September (induction), 3 days in October, 3 days in March, 2 days in April and 3 days in June. Each day is 6 contact hours and includes a light lunch. The Postgraduate Certificate in Teaching & Learning is a professional staff development programme, at master's (in Dutch Post-HBO) level, for teachers in higher education. The PG Cert is offered to Wittenborg University of Applied Sciences teaching staff, however, it is also offered to external teaching staff within higher education from the Netherlands, Germany, Austria and other European countries. It is also open to applicants from around the world, wherever practical. Wittenborg's PGCert course provides a supportive space in which to evaluate and develop your teaching practice, covering areas such as: student learning, assessment and feedback practices, evaluation of teaching, and designing teaching sessions and curricula. During the course, you will have the opportunity to engage in a sustained evaluation/exploration of a chosen aspect of your teaching practice, to evaluate and develop assessment and feedback practices, and to learn from and support colleagues across the institution and our partner colleges via the sharing of practice and peer review. Cross-disciplinary action learning sets provide a forum for you to discuss issues from your practice on an individual basis. the PGCert will entitle you to Fellowship of the HEA. The PG Cert is equivalent to 21 European Credits according to Dutch HE standards, and the award will be equivalent to the Dutch 'BKE' and 'BKO' qualifications offered by Dutch universities. The programme is taught over 812 full days, in 5 blocks - 4 days in September (induction), 3 days in October, 3 days in March, 2 days in April and 3 days in June. Each day is 6 contact hour. Aims: the aims for this module are set into the context of the QAA (equivalent to the Dutch NVAO) Framework for Higher Education Qualifications, and relate to the SEEC level descriptors for level 7 study (master's). This module focuses on the formative and summative assessment of learning and giving effective feedback to students in higher education. The module considers evidence-based ways to improve assessment and feedback practices. This module provides students with the opportunity to conduct a small scale, systematic enquiry that will enhance the teaching of their disciplines. NB: The scope of the enquiry will vary according to students’ own responsibilities and interests. However, they are expected to be able to complete the enquiry within the timescale of the module. You should have sufficient current engagement in assessment and feedback at HE level to enable you to meet the learning outcomes. 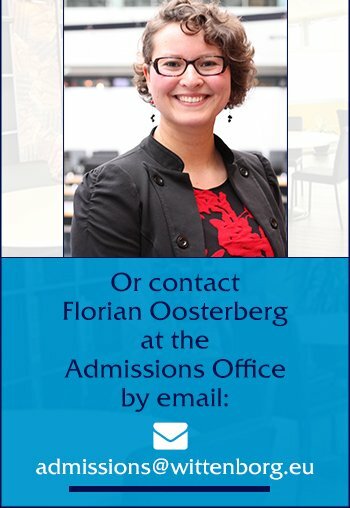 For prompt contact with our admissions team, call (+31) (0)88 667 266 and speak to Ms Florian Oosterberg, our Admissions Officer, or Mr Santosh Aryal, our Student Registrar. If you would like us to call you back, we will!